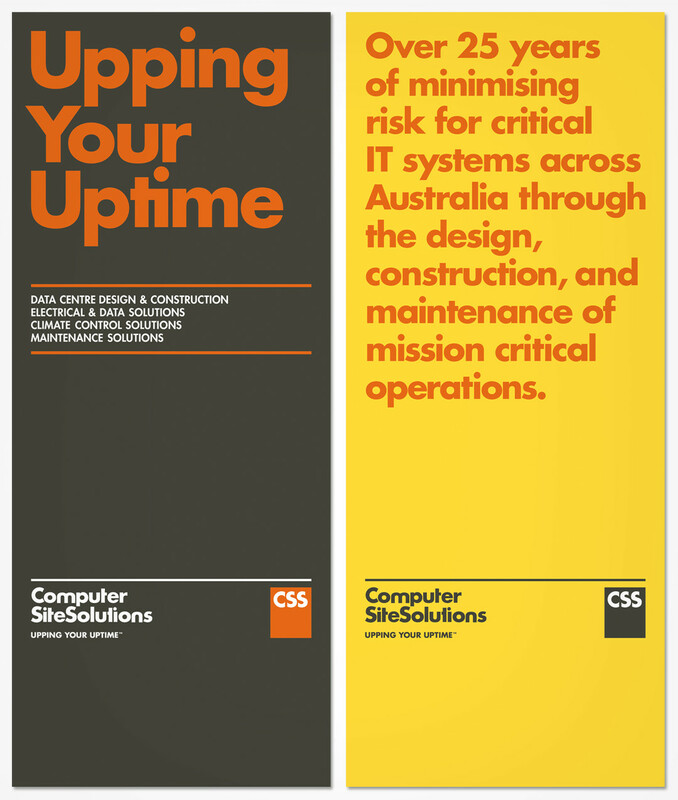 Computer Site Solutions (CSS) is a leading provider of services for the design, installation and maintenance of mission critical IT environments. With a mandate to expand its services nationally and interstate, CSS felt the need for a more contemporary identity that also highlighted its key offering. 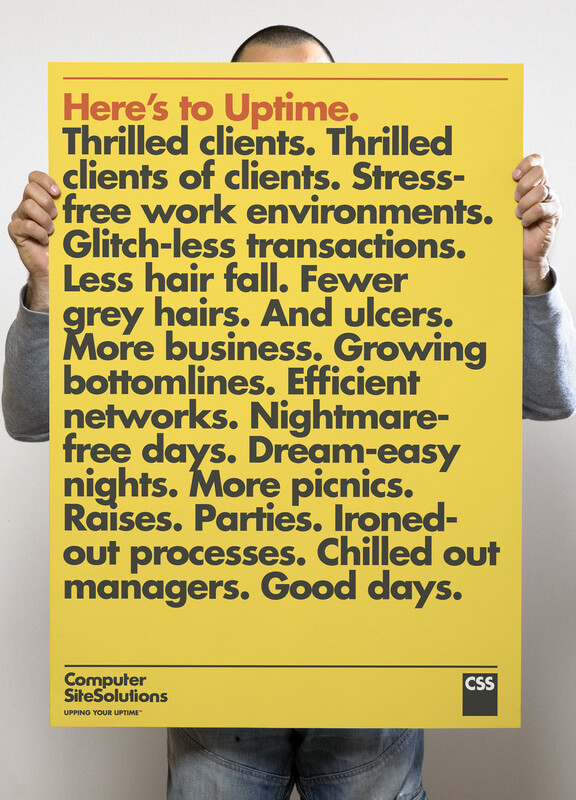 The creative breakthrough came from understanding how CSS enabled its clients to avoid potential crippling disasters. This helped to inform the positioning, visual language and tone of voice for the brand. 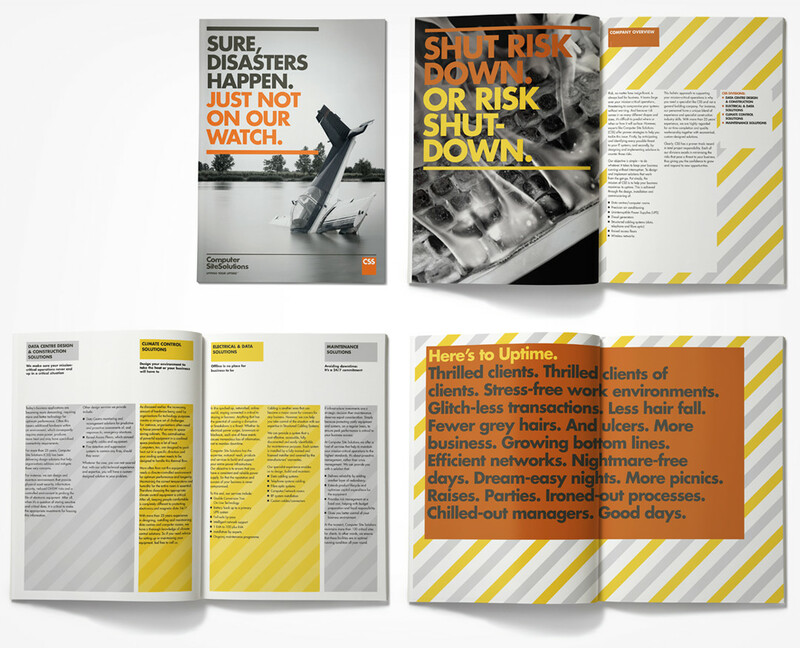 A colour palette, reminiscent of emergency services, was chosen to underscore the urgent nature of mission critical environments. These elements were then applied to different aspects of the communication strategy to create an integrated solution that worked across various media.